Irene Goldenberg's name appears first in all previous editions except the 7th; Herbert Goldenberg's name appears first only on the 7th and 8th editions, published after his death. 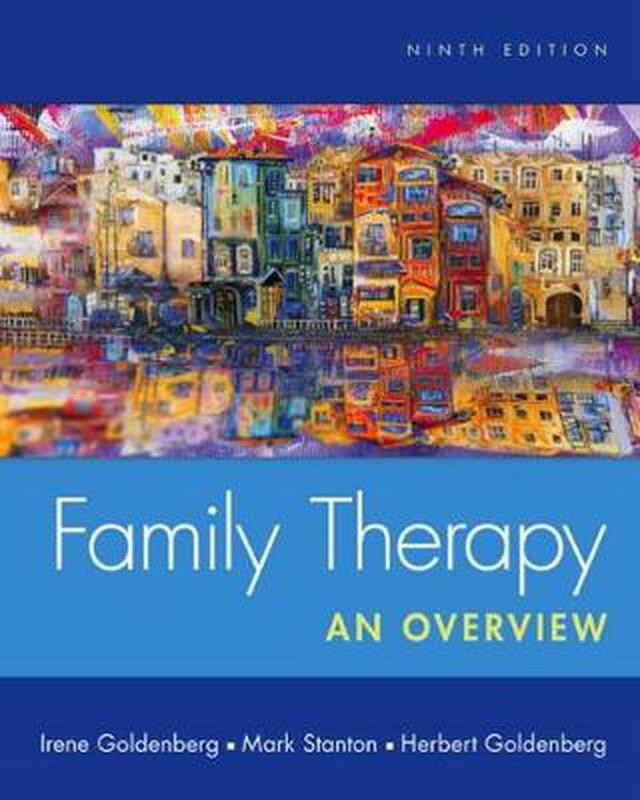 This current, engaging, and practice-oriented text is your complete resource for mastering the many facets of family therapy. In this ninth edition, the authors examine and explain key viewpoints, perspectives, values, intervention techniques, and goals of family therapy -- featuring practice-oriented content to help you become an empathic and effective family therapist. Color-coded boxes highlight key aspects of family therapy, such as family diversity, evidence-based practice research, 'Thinking Like a Clinician' exercises, case studies, clinical notes, and therapeutic encounters. Examples illustrate family therapists from many professions, including social work, MFT, psychology, and counseling. You'll also find up-to-date material representing the latest thinking on central issues and topics, including increased attention to LGBTQ families and alternative forms of family life and to gender, culture, and ethnic considerations. Herbert Goldenberg was Professor Emeritus of Psychology at California State University, Los Angeles, where he developed and taught classes in family therapy. Together with Irene Goldenberg he was awarded the 2007 American Family Therapy Academy lifetime achievement award for family therapy. He also held membership in the American Association for Marriage and Family Therapy, the American Family Therapy Academy, and the Family Therapy division of the American Psychological Association. He was also elected fellow in that APA division. The Goldenbergs co-authored another book published by Brooks/Cole, COUNSELING TODAY'S FAMILIES, Fourth Edition. Irene Goldenberg is Professor Emeritus of Psychology in the Department of Psychiatry at the UCLA Neuropsychiatric Institute. She served as Associate Chairperson of that department and as Director of Psychological Services for many years, and continues to teach marriage and family therapy courses to psychologists, psychiatrists, and social workers there. She currently supervises doctoral students and directs the family therapy program at the VA Greater Los Angeles Healthcare System. Together with Herbert, Irene Goldenberg has been awarded the 2007 American Family Therapy Academy lifetime achievement award for family therapy. She also holds membership in the American Association for Marriage and Family Therapy, the American Family Therapy Academy, and the Family Therapy division of the American Psychological Association. She has been elected fellow in that APA division. The Goldenbergs are co-authors of another book published by Brooks/Cole, COUNSELING TODAY'S FAMILIES, Fourth Edition. Adopting a Family Relationship Framework. Family Development: Continuity and Change. Systems Theory and Systemic Thinking. Origins and Growth of Family Therapy. Professional Issues and Ethical Practices. Social Construction Models I: Solution-Focused Therapy And Collaborative Therapy. Social Construction Models II: Narrative Therapy. Comparative View of Family Theories and Therapies.